Imagine your regular ‘wine shop’ in Karol Bagh or Khan Market in Delhi or a majority of similar shops, with people standing in queue outside even in the summer heat to feed the addiction! Some of that is passé with modern liquor stores in the air-conditioned shopping malls, having huge areas of a couple- three thousand square feet where you can walk around freely and might even get occasional help from the sales person sitting behind the cash register, a few modern stores in big metros excepted. All that would be a thing of the previous millennium when you walk into the newly opened liquor store that also sells wine (mercifully, it is not named a ‘wine shop’ as indeed the new modern retail stores avoid to be categorized as such; and indeed, the government ought to pass a law enforcing them to change their names, if they hand out mainly hard liquor). There are no hoardings, posters or point of sale banners inside or outside suggesting the merchandise. You just walk around in expansive store which sells everything at MRP. 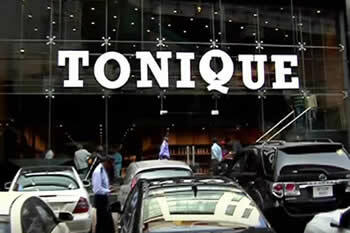 Welcome to Tonique, the newest and the biggest liquor and wine retail store – in Hyderabad. Located in the prime locality of Jubilee Hills (Road 36), Tonique is barely 5 kms from the HiTec City and 8 Kms from Banjara Hills, both within 25 minutes drive from the store. One can shop at leisure in the sprawling store with incredible lighting, placement of bottles and an experienced staff of over 20 persons ready to help you at any time of the day. 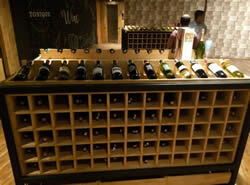 Tonique is owned by the 39- year young and wine apassionado Anith Reddy whose family has coal mines in Bellary. He says it was his passion to make the biggest retail liquor and wine store first in India, then the world. 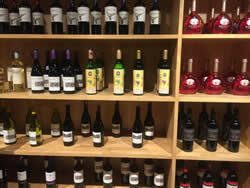 I asked Anith how he got such an expensive idea and how he could claim it as the biggest, he said, ‘Tonique is the biggest liquor and wine retail store in India. 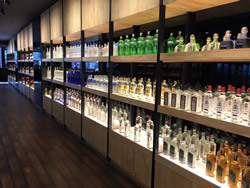 With 15,000 sq ft (most reports mention 10,000 sq ft) and top quality spirits labels numbering over 100 and 250 wine labels, it is definitely the largest store. I plan to make it the biggest in the world by adding many more labels during the next few months.’ It would be difficult to challenge his first claim though I would definitely take the second statement with a pinch of rock salt. The reason for his tall claim is apparent when he says, ‘I am talking to several parties overseas for direct shipments to me.’ Not getting into any argument about the import procedures, I wonder about the complicated excise procedures and the outrageous operational costs. 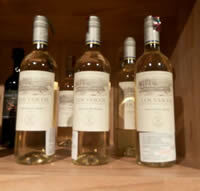 ‘We have no problem with excise. We have already paid an amount that entitles us to free/low cost registration. Besides the costs, we can get it in 48 hours where some of the others may need one year!’ he says. What are the footfalls and what is the customer profile, I ask Anith. ‘Surprisingly, it is 60% women and 40% men. I would have thought 70% men and 30% women!’ he exclaims. We already have about 1500 people visiting the store in a day. Evenings are very busy with all our people extremely busy with the customers. 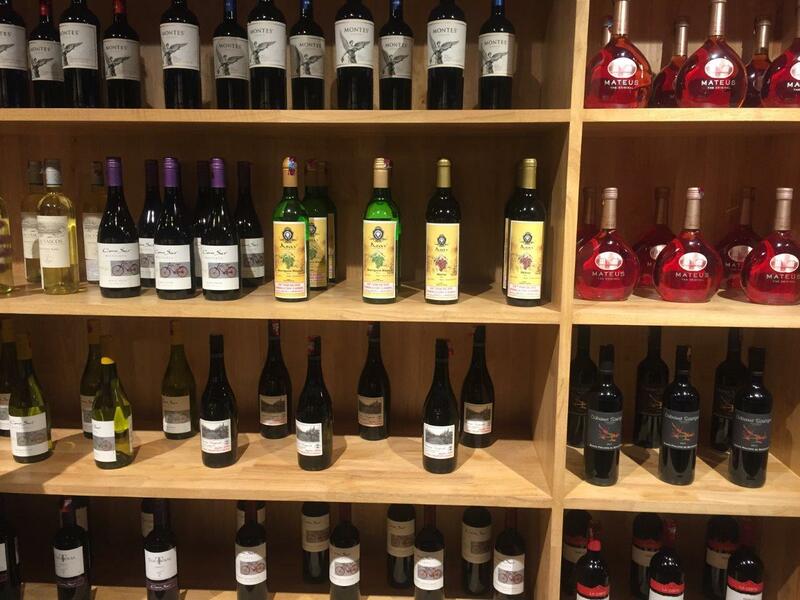 Aspri Wine and Spirits has a big portfolio of spirits and wines available at Tonique with a total of 20 wine labels including Carpenè Malvolti, DBR Lafite, B &G, Black Tower, Framingham (NZ), Los Vascos (DBR Lafite-Chile), Mateus Rose (Portugal), Nederburg (South Africa), Riunite (Lambrusco), Two Oceans (South Africa) and Zonin (Italy). 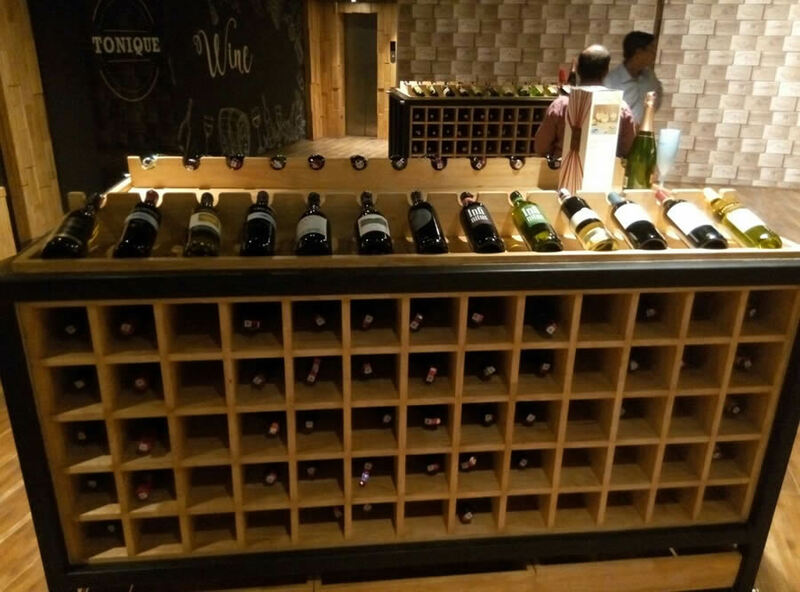 Ravikanth Popuri has had an impressive performance during the last 5 years selling exclusively Italian wines and only in Hyderabad. 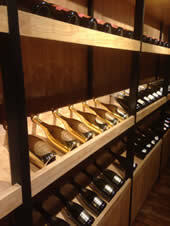 His well-established firm Madiza Wines sells ‘Pitars’ label and is served at a majority of luxury events in Hyderabad. ‘Tonique is the latest news on the alco-beverages in India’, he says. I am sure, the wine labels would be tweaked based on their demand and sales but right now things are looking up.’ Anith claims that the major weddings and events in Hyderabad are already buying their requirement from his store. Pedhapaly Kishen is an old hat in the wine industry though he shifted to beer for a few years, before starting marketing his own wines in Hyderabad as ASAV brand variants he gets from Nashik under his own label-on the lines of Mumbai-based Turning Point. His focus is on sparkling wine. 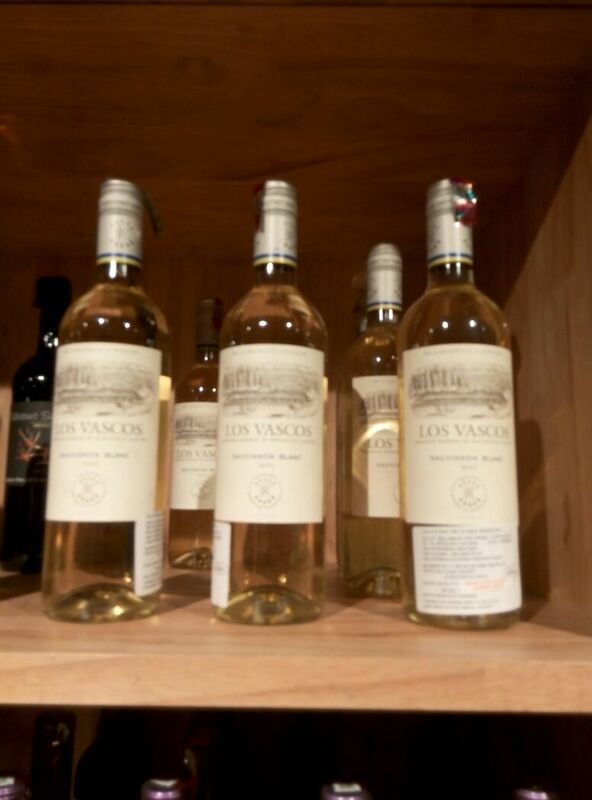 ‘I am happy that Tonique has bought an initial 24 bottles of mixed ASAV Wine labels from us,’ further explaining that ‘they will buy future stocks from the Depot’. In Telangana, the alcohol is sold on the same pattern as Karnataka and must be purchased through Depots run by the monopoly, Telangana State Beverages Corporation Ltd. (TSBCL). 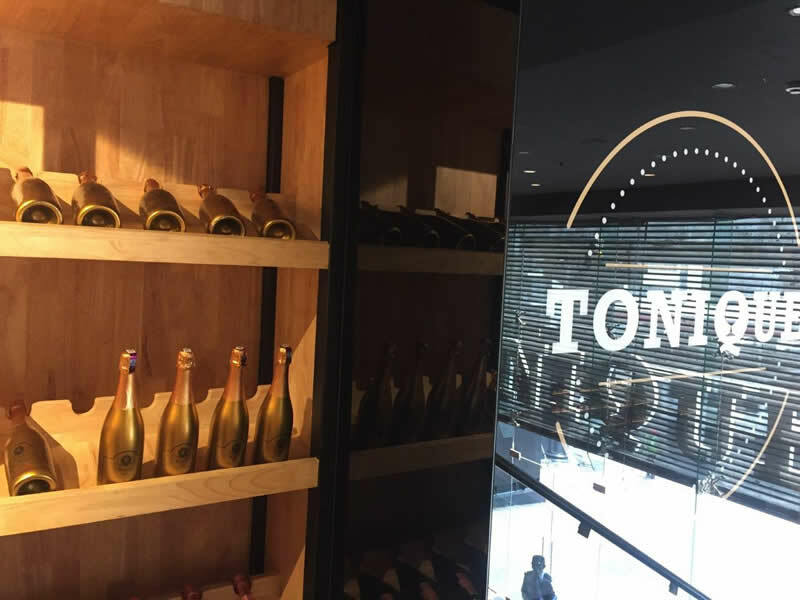 Apparently, Tonique has obtained a legally sustainable concession from the excise department since according to the law the liquor stores cannot be opened so late. There is also no limit on the stock pick up, unlike the cap for other licensees, I am told. According to reliable sources, however, the competition has gone to court and the hearing has been set for this week. This does not faze the dynamic Reddy who would watch the situation before exponentially increasing the labels as he plans. ‘We also plan to import directly from the foreign producers. For us registration of labels is no problem. By paying a one-time charge, we are allowed to import and register the labels within 48 hours compared to some other label registrations that take up to a year. Our registration costs are also very nominal,’ he says. It may not be an easy job to make it the world’s biggest liquor store but Tonique is perhaps the largest liquor and wine store in India that will become a benchmark for modern retail and hopefully increase the consumption of wine though in terms of spirits, wine segment would face a strong competition due to the big variety of spirits as well. To the success of Tonique and the modern wine and liquor retail we raise a toast and say, Jai Ho!